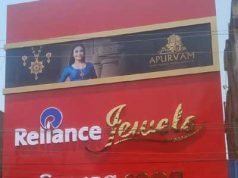 Bhubaneswar: In order to provide a new experience in urban transport, the Temple City is all set to revamp its city bus service with a future-ready, four-phase City Bus Modernisation Plan. The proposed City Bus Modernisation Plan will be implemented in four phases. Phase 1 (Proposed to be executed during 2017-18): In this phase, 200 new buses (50 standard AC buses, 50 standard Non AC Buses and 100 midi buses) will be added to the existing fleet of 110. Two new depots along with the existing depot shall be developed under this phase. The full-fledged commencement of this phase shall be expected to be achieved by October 2018, keeping in view of upcoming Hockey World Cup in the city. Phase 2 (Proposed to be executed during 2018-19): During this phase, electricity mobility would be introduced in the city as per the changing world order and affinity towards electricity vehicles which will help in bringing down pollution levels. 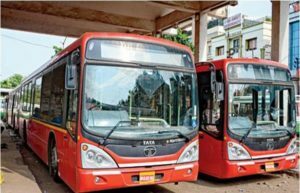 Phase 3 (Proposed to be executed during 2019-20): During the third phase, peripheral cities and satellite towns around the State Capital would be added under the City Bus Service by adding 300 new buses and phasing out of the 110 buses of the old fleet. Phase 4 (Proposed to be executed by 2027): During the last phase, additional 400 buses would be added to the City Bus Service to cater to another 2 to 2.5 million population of that time in the growing city and replacement of the 200 buses, those, which were added during the Phase 1. The Bhubaneswar City Bus Modernisation Plan will be integrated with the futuristic vehicle tracking system, passenger information system, route planner, operation scheduling, crew scheduling and these ITS back bone shall be developed through Smart ITS project funded through Smart City. It can be noted here that the Master System Integrator is already on broad to start the implementation work of the ITS through the Intelligent City Operations and Management Centre (ICOMC). The benefits due to the Bhubaneswar City Bus Modernisation Plan would include savings to people in transit costs, reduction in growth of vehicles, reduction in fuel consumption in the city, reduction in pollution and health benefit, accident reductions, increase in competitiveness and image of city, decrease in road congestion, reduction in expenditure required on roads, flyovers and parking places etc. 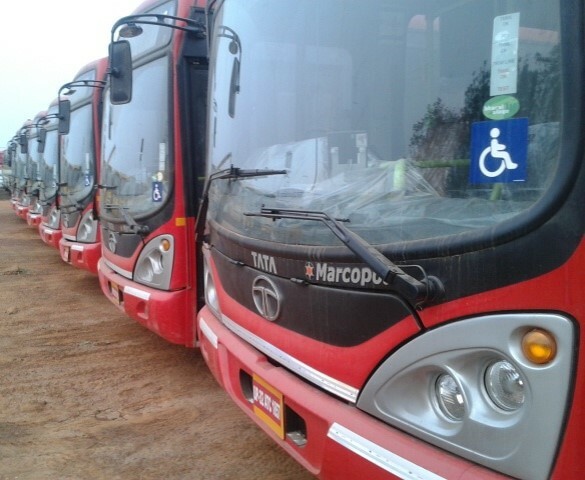 Currently, 110 buses are under operation by Bhubaneswar Puri Transport Services. While there is one Bus Terminal at Master Canteen, 1 Bus Depot is at Pokhariput and 2 OD Terminals are at Chandrasekharpur and Ghatikia.